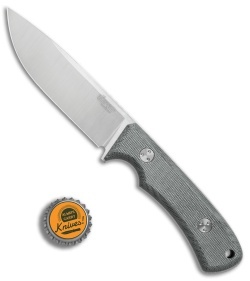 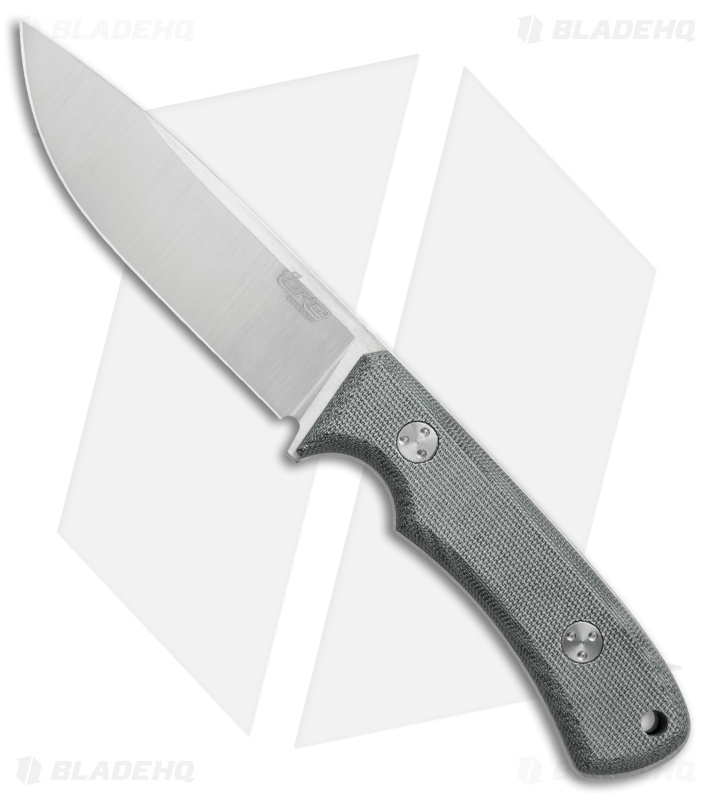 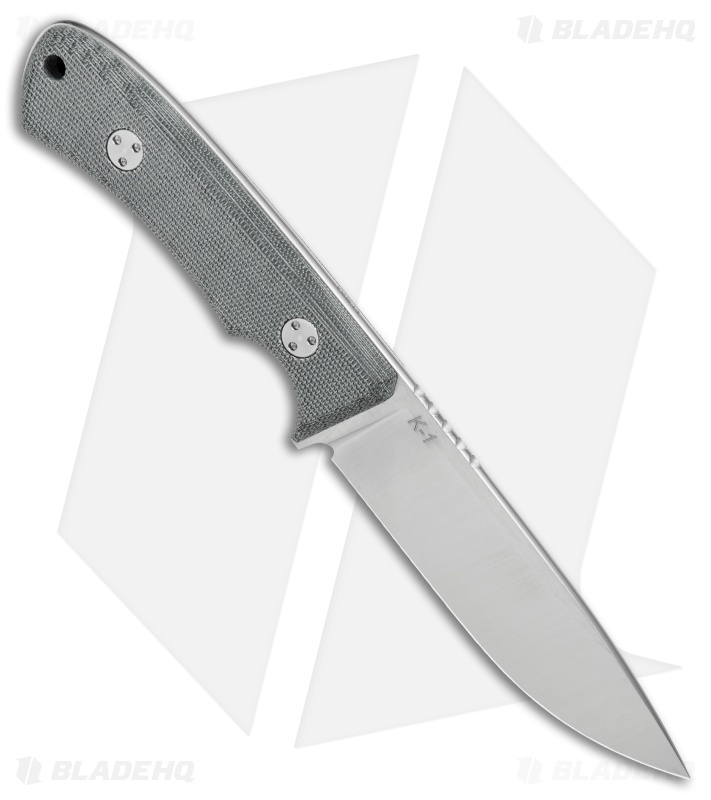 The K-1 fixed blade by TRC Knives is a medium sized fixed blade with made with impeccable hand ground precision. This knife sports a full-tang Elmax steel blade with a brilliant satin finish and a rounded spine. Its handle is fitted with ergonomic Black Canvas Micarta scales for a secure grip during use. 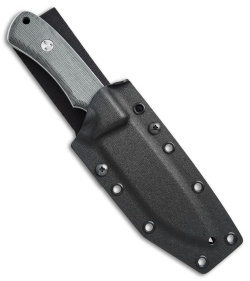 Includes a Kydex sheath and a dangler attachment for comfortable belt carry.